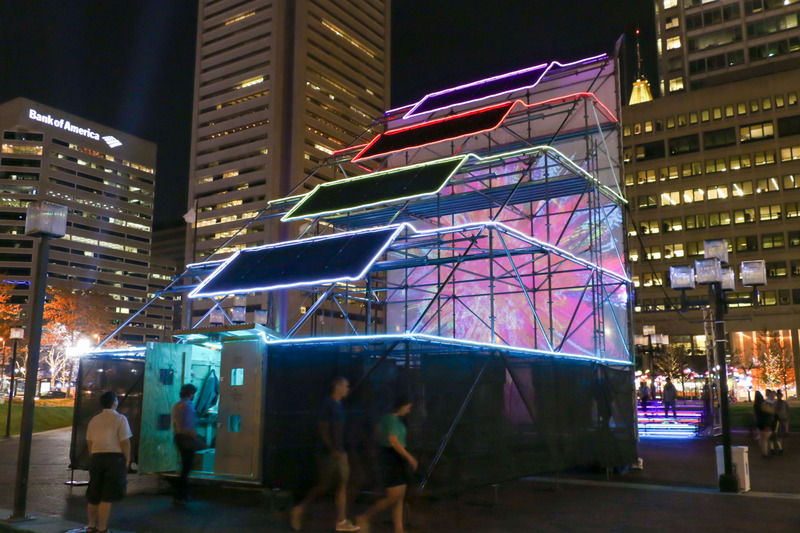 Sun Stomp – Experience the power and beauty of the sun through #SunStomp: a solar powered light display and interactive audio-visual environment at Light City Baltimore, April 14-21, 2018. 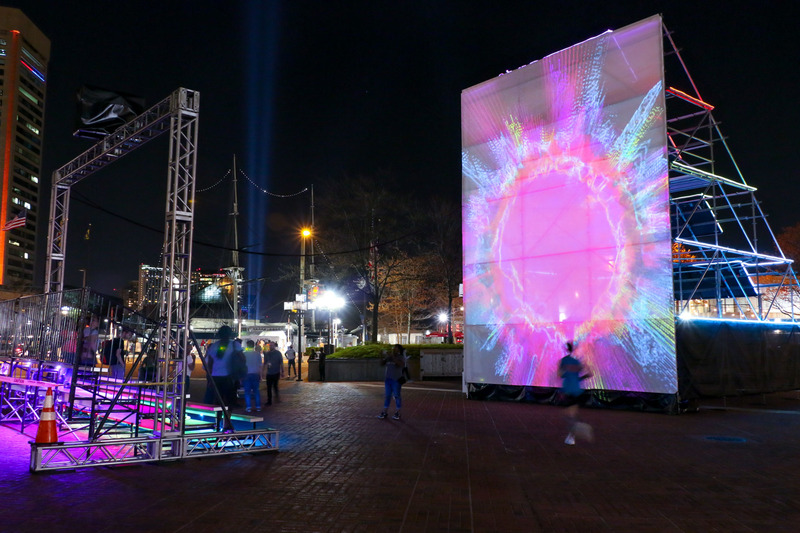 Experience the power and beauty of the sun through SUN STOMP: a solar powered LED display and interactive audio-visual environment that premiered at Light City Baltimore, April 14-21, 2018. Experience the power and beauty of the sun through Sun Stomp; a solar powered light and interactive audio-visual environment. 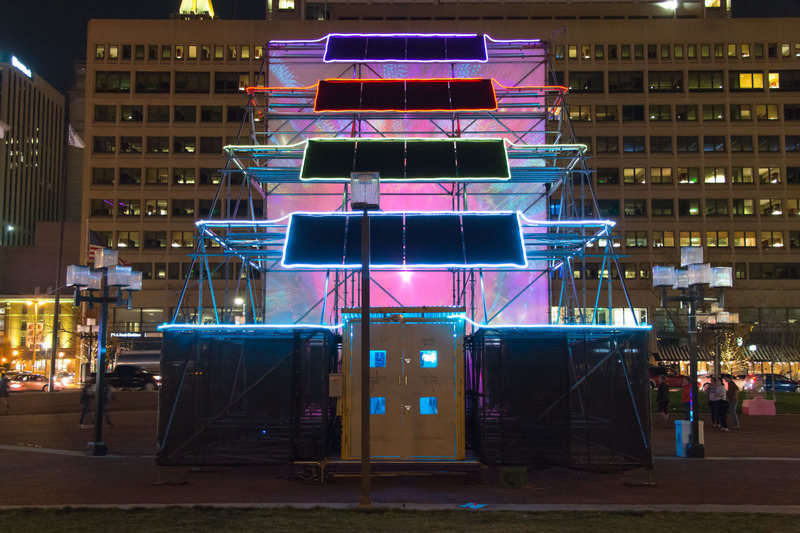 The monumental scaffolding sculpture features an interactive projection on one side and a solar array of sixteen 290 watt solar panels on the other. Electrical Energy is collected during the day and stored as Chemical Energy in a Battery Bank which provides electricity to the colorful array of LED neon lights illuminating the structure after dark. 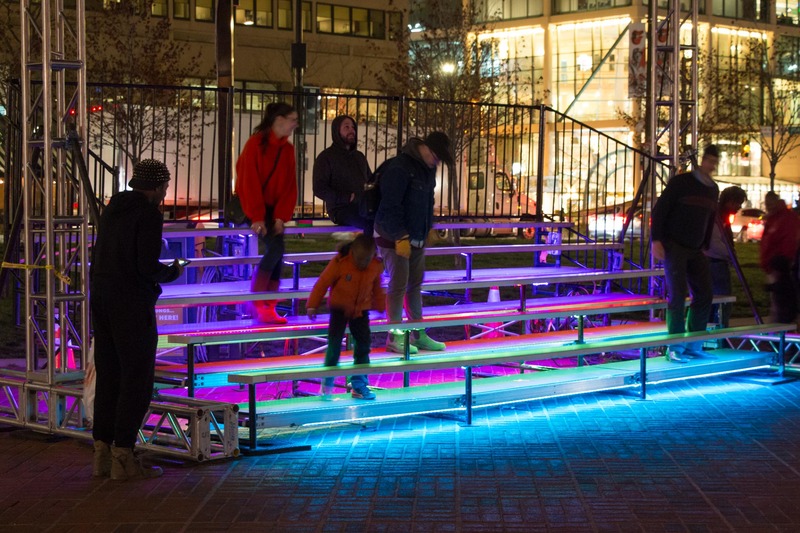 Participants are invited to stomp on the bleacher footboards to trigger sun-inspired visuals and amplified sounds of the Sun sourced from NASA’s Solar Dynamics Observatory. Bring Sun Stomp to your City or Event! 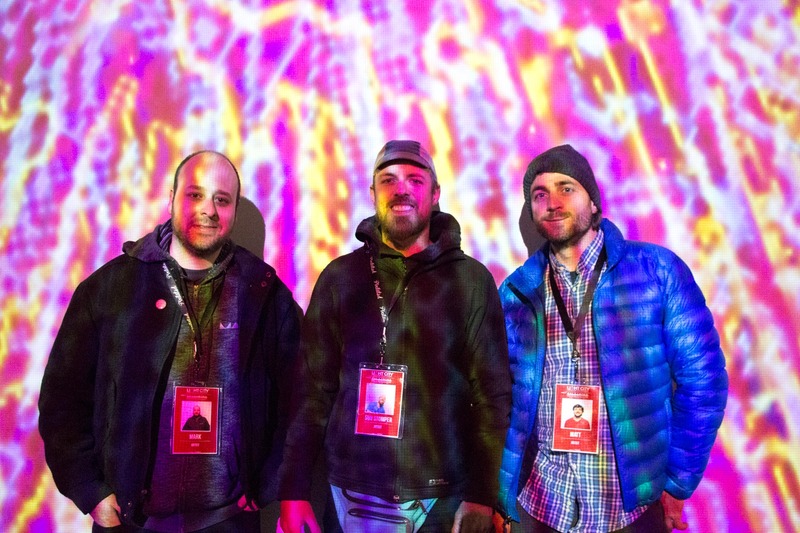 Use the contact form to find out how the Sun Stomp Collective can light up your event with our educational, solar-powered, and participatory audio/video environment. The Sun Stomp Collective could not have created this project without the generous help of our friends and family. Much love and appreciation to the following supporters: Carrie Fucile, Alicia Puglionesi, Alexa Richardson, M.J. Coreil, Petri, Michael Campola, Evan Merkel, & John Duda. 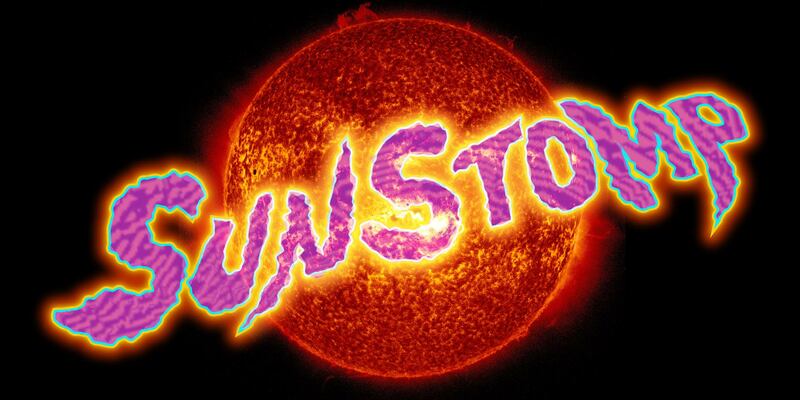 Thanks to @poweredbyart & @teakettle22 for the interview and sharing our #SunStomp origin story.